We hope you all had a relaxing and enjoyable summer!! The PTA board has been hard at work prepping for a fun year! We have a few new plans and activities in the works that we are excited about and hope you will be too! The first thing we wanted to do is rev up our KOALA PRIDE! We will be again having weekly Spirit Fridays and we encourage all students to take part by wearing our school colors (blue and green) or Cowlishaw apparel/accessories! Please see the announcement about ordering our NEWLY DESIGNED apparel below, and look for our PTA info tables at the first few events, we will have some fun new accessories for sale there! We are excited to be continuing our very successful Watch D.O.G.S. program, and all of the other parties and events you have come to love! We will be having our Fall Fundraiser, with the hope of only having ONE BIG PUSH for funds again in the beginning of the year so that the rest of the year can just be FUN!! Details to come in the next few weeks! Remember, our PTA is run by parents like YOU!! We count on your $15 Membership fee and donations to pay for ALL of our students to go on field trips (our biggest expense! ), see assemblies, participate in the Culture Fair, Science Fair, and MUCH MORE! Help us give our kids a wonderful year by joining our PTA! And remember, while do we do always need volunteers, becoming a PTA Member does not mean you will have to do anything else! Membership forms are available in the school office, on the school website under the PTA tab, or email us at cowlishawpta.president@gmail.com. We would like to welcome parents who are new to the school this year! The mission of the Welcome Committee is to help new families become familiar with the school, as well as the local community. Please join us at the first orientation program for new families scheduled on the first day of school, August 21, from 9:20 am to 9:50 am. We will start the orientation as soon as the students enter the building. Please join us at the main entrance of the school. During the orientation, we will go over some school policies and general information that are detailed in the welcome packet. This will be followed by a question and answer session. You will also have a chance to meet other new families coming to school this year. For those who are unable to attend the orientation, there are a couple of ways to reach us. You can write to us at cowlishawpta.welcome@gmail.com. Also, feel free to call or text Tracy Leung (630) 640-6501 with any questions you might have. We hope to see you at the orientation on August 21 right after school starts. 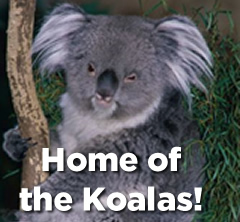 We are our Cowlishaw Koala apparel and accessories designed by one of Koala parents, Amanda Wittenborn! We partnered with Naperville Spirit Wear to make this super easy for everyone. Just click the link below to view the over 50 student options (which are all also available in adult sizes). While you’re browsing, check out the parent and PTA designs too! The apparel will all be delivered right to your child’s classroom! As an extra bonus, 10% of all orders will come right back to our PTA!